Need new apps for your favorite device? Here are 25 iPhone and iPad apps that just hit the App Store. 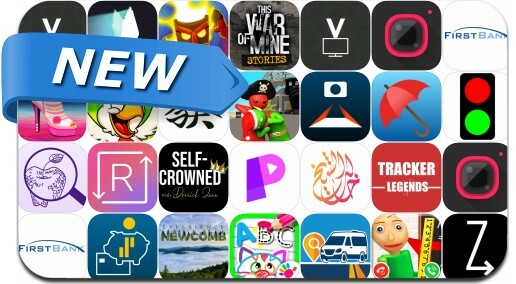 Today’s batch of new apps includes SpeedRunners, Baby Games', American MahJong Practice '19, #Camera & Photo Editor, This War of Mine: Stories and many others. *Supported Devices: iPhone 6s, iPad 5 (2017), iPad Air 2, iPad Mini 4 or newer devices. iPod Touches are not supported* Cut-throat multiplayer running game that pits 4 players against each other. Run, jump, swing around, and use devious weapons and pick-ups to knock opponents off-screen! One of the most competitive games you'll ever play.